I joined yet another swap at Inspire Swap Chat. This time to use your favorite tree stamp. Of course I went back to my Through the Trees set by Papertrey Ink. 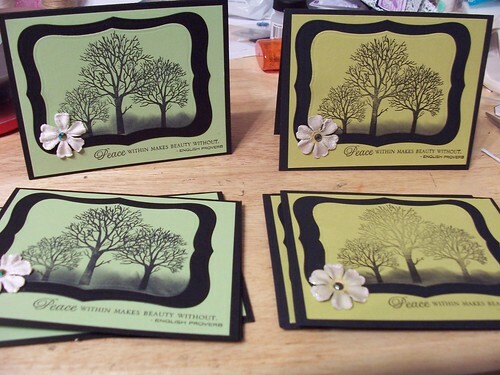 The trees are stamped in black on the green cardstock. To give the illusion of shadowy grass, I sponged on some more black ink at the base. 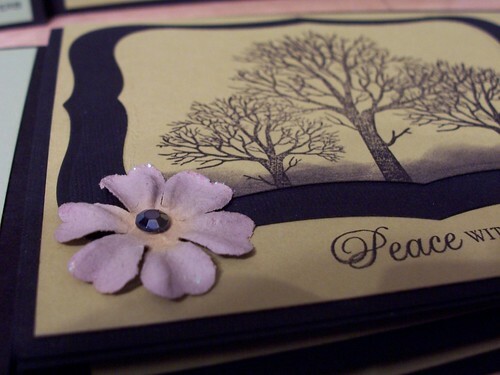 I finished with the peace sentiment from Through the Trees and a prima flower.